A formal and stately collection, Via Scala passementeries feature gold accents with royal-like charm. 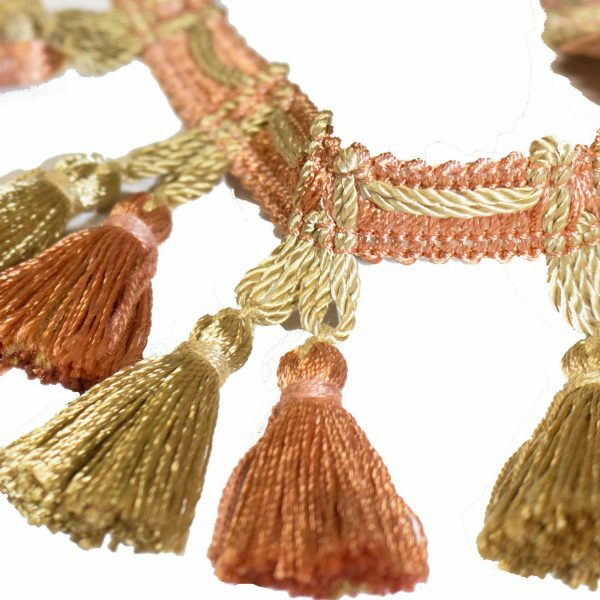 The double tassel fringe; distinct trailing gimp; and large 2 1/2" cut fringe are represented in a soft color palette to suit rich fabrics, silks especially. An elegant collection through and through.